Mumbai: A smug, entitled business class driven by greed and hubris, but sorely lacking in resources to legitimise their control. I could be describing the India Inc. of today — or 1959. Nothing much has changed. Jet Airways Ltd., India’s oldest surviving private-sector airline, is about to crash land. Founder Naresh Goyal neither brought in enough new equity of his own to rescue the debt-laden carrier, nor did he allow a timely sale to suitors who wanted the business, albeit without him. Jet may yet survive, but it’s touch-and-go. Or take the country’s second-largest hospital chain, put into the trauma room by its founders’ Rs4 billion (Dh206 million; $56 million) fraud. Fortis Health care Ltd. wants brothers Malvinder and Shivinder Singh arrested. Complicating matters, Malvinder has accused Shivinder of siphoning funds from the family holding company and diverting them to a spiritual guru. The whole thing is an unholy mess. For at least six decades, scholars and policymakers have been aware of the strain placed by India’s feudal system of corporate governance on capital formation, job creation and growth. Yet the last major reform was in 1969, which ironically was also when India was nationalising banks and lurching toward a more virulent socialism. Subsequently, globalisation caught up with India, the economy opened up and attracted hundreds of billion dollars in foreign capital, but the foundations of corporate structure stayed weak. It’s only now, when the edifice is showing cracks, that it’s becoming clear a fresh coat of paint alone won’t suffice. Back in the 1960s, “managing agencies” dominated India’s industrial landscape. The 70 companies in the Tata Group were run by nine agencies, while 49 firms in the Birla Group were managed by 13. Such was the sway of the “boxwallahs”, as the agents were pejoratively referred to, that State Bank of India wouldn’t lend to an operating company without its managing agency’s guarantee. Nevermind that a majority of these proxy controllers didn’t even have 1 million rupees in capital of their own. They were vehicles for business families to extract commissions and control empires in the garb of providing managerial expertise. Andrew Yule, Martin Burn, W.H. Brady and MacNeill & Barry — as the names suggest, the managing agencies started out as part of the British colonial project, but about a hundred years ago ownership started to pass into Indian hands. The world wars and India’s 1947 independence hastened the switch. India eventually outlawed managing agencies in 1969, but entrenched families lost no time in gaming the corporate boards that were now in charge. Explicit recognition of some shareholders as “promoters” has perpetuated their exorbitant privilege, and infected even firms of a newer vintage. The co-founders of Mindtree Ltd., a mid-bracket software services company, didn’t show any urgency when a large investor warned them of his intention to cash out. Now that the investor has sold to engineering firm Larsen & Toubro Ltd., the insiders are shocked, shocked that L&T is out to “decimate” Mindtree with a $1.6 billion hostile takeover. Mindtree founders are first-generation entrepreneurs. You can imagine the sense of entitlement that may be felt by the more pedigreed families that control 60 per cent of the assets of publicly traded companies. In the 1970s, William Meckling and Michael Jensen studied the friction between managers and a diffuse US-style shareholder base, whereas in Asia, the main issue is concentrated ownership and expropriation by insiders whose political connections get them bank loans. A bank-dominated financial system hasn’t just saddled India with more than $200 billion in bad loans; it’s also been the bane of governance. Recently, Indian banks did an out-of-court settlement in Sterling Biotech Ltd., taking a 65 per cent haircut while handing back control to the same promoters who’ve left India and are facing charges of money-laundering. It’s good the capital-market regulator wants listed firms to tap the bond market more often, and cut their reliance on banks. India also aims to empower independent-minded boards to check self-dealing by promoters. I’m less enthusiastic than when the board reforms were first proposed in 2017. Wimpy directors couldn’t even stand up to professional CEOs like ICICI Bank Ltd.’s Chanda Kochhar, who’s now facing charges in a conflict-of-interest case, and kowtowed before Ravi Parthasarathy, the founder of now-insolvent infrastructure financier IL&FS Group. How can they take on powerful insiders with real money and connections? For fundamental change, business families must stop playing a shadowy role in campaign finance. But the opposite is happening. Bloomberg News recently chronicled the system of anonymous electoral bonds, introduced by Prime Minister Narendra Modi’s government. These bonds contributed 31 per cent of the money political parties raised last financial year from unknown sources. Their role in next month’s $7 billion general election may be even bigger. 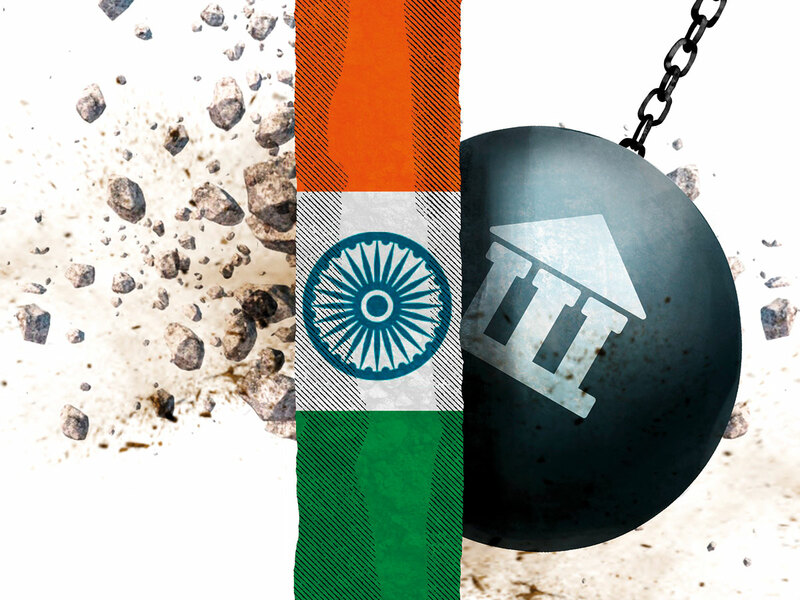 Foreign investors believe they can navigate around India’s governance fault lines. Still, South Korea’s chaebol discount could also become a millstone for India if the grip of a handful of private interests on state institutions and economic opportunities tightens. The new boxwallahs will be much harder to shake off than the old cronies.